Mug of porcelain painted with enamels and gilded. 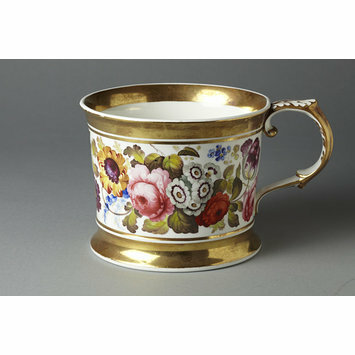 Cylindrical in shape with a flaring base and rim bordered with wide gilt bands, and with a scroll handle. Round the outside is a frieze of flowers. Made from Billingsley's 'Nantgarw' recipe, and the painting is in the style of Billingsley and was perhaps executed by him shortly before his death in 1828. 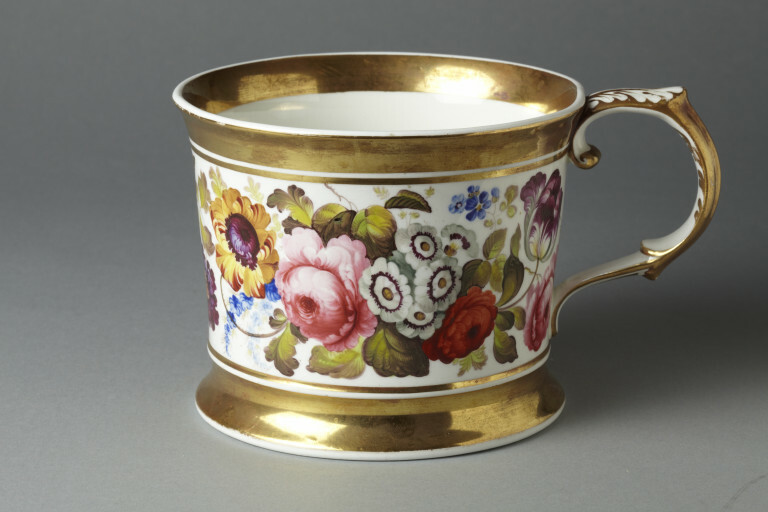 Cylindrical mug of porcelain painted with enamels and gilded, possibly painted by William Billingsley, probably Coalport Porcelain Factory, Coalport, ca. 1830.